Premium 6-ink Photo All-in-One for professional results at home. 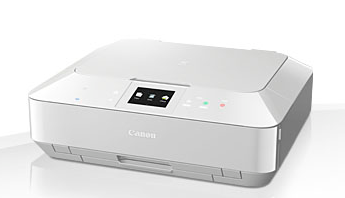 Stylish and easy to use with intuitive touch controls, it offers advanced connectivity for printing from smart devices and directly from the cloud. System 6 includes a gray ink for photos richer colors and stunning mono printing, while Canon's FINE technology, with a resolution of up to 9600dpi, providing superb detail for professional-quality photos. This All-in-One has a fast print speed of documents A4 15 ipm mono / color 10ipm and print borderless photos in approximately 10x15 cm. 21 sec.